The latest Legenderry development is open for business. Si's Sights And Sounds went to check out the City Of Culture's newest "coffee corner"
Free of the commercialism of a Starbucks, a Costa or even a Caffe Nero, Christmas music gently plays in the background as we are blind to the hustle and bustle of even the popular Continental Market. The barista and waitresses wear stylized T-shirts advertising "Great Coffee In The Heart Of The City". Having now tasted one of their cappuccinos (not to mention their delicious spiced organic carrot soup), I can safely argue that this claim is justified. It's been a bit of a wait, but Derry-Londonderry might finally have a coffee house truly worthy of its cultural title. 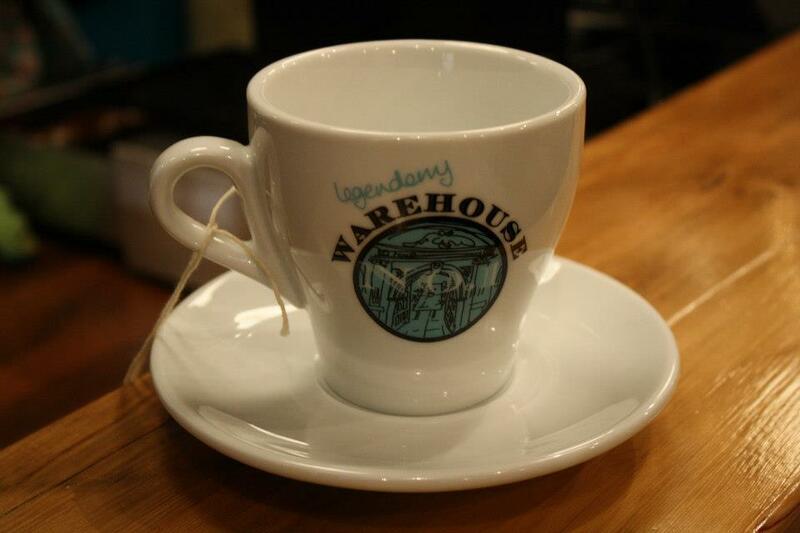 Situated at 1 Guildhall Street, the Legenderry Warehouse No. 1, converted from... well, a warehouse, has attracted customers by the bucket load on its opening day with its retro décor, comforting ambience, and, of course, their menu. And with full backing from the Culture Company, not to mention a perfectionist approach to service, who's to say it won't get even better? The idea for Legenderry Warehouse No. 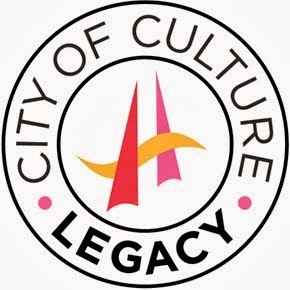 1 evolved from talking to other local business people who wanted to do something for the City Of Culture year. Co-founder Karen Duncan, owner of Bang On The Door, says: "The ideas spread from simply selling merchandise to opening somewhere that would sell both good local food and inform everyone of what's going on in the City Of Culture year. We also wanted somewhere that would make people aware of what’s available in the arts and crafts that maybe people don’t know about." 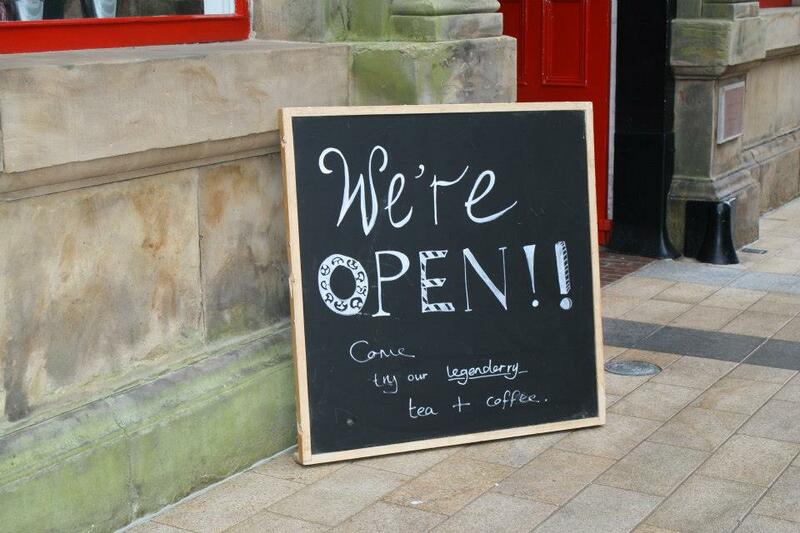 Indeed, the feeling persists that there are lots of things happening in Derry-Londonderry that people still aren't aware of, and Duncan believes that this opens a terrific opportunity for a friendly promotional initiative like the coffee house. "We're aiming to create a really friendly vibe. Something a little different, with excellent coffee and food, and where the customer will always feel welcome and comfortable." 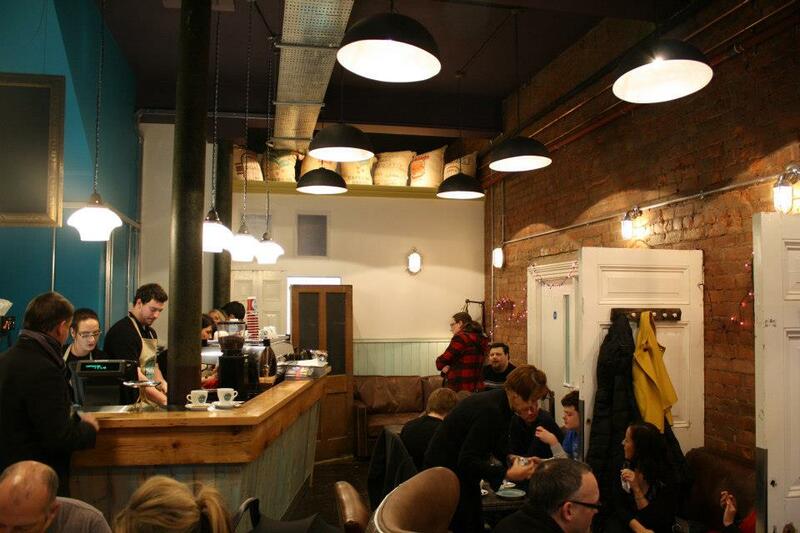 The designers have retained more than a little bit of the "warehouse" aspect of the building, making it look similar to Belfast's Clements' coffee houses before their noughties makeover. In other words, "part warehouse, part coffee house" – a unique look that Duncan hopes will sell to both tourists and citizens. 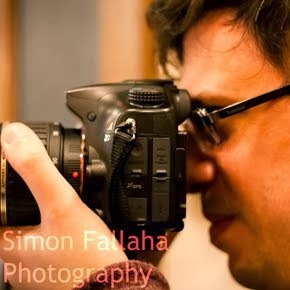 "We want people to come in and get a feel for the locality of Derry and what it's truly about. And this is only the beginning. We'll be opening a retail space next door, for City Of Culture merchandise, a lot of local craft, local art, local photography and all sorts of things. More than that, we are aiming to have a presence at the big events going on throughout the year, so that people can buy Legenderry coffee there too." A Legenderry Coffee House, a Legenderry Mall and Legenderry Gallery... basically a case of using the identity of Legenderry to create something even more "Legenderry" than Derry itself! And you can't say fairer than that. "The reaction's been really, really good," adds Caroline Gilliland of Bang On The Door. "And even if there's something that people don't like, we're looking to find out about it. That way, we can look to make the experience perfect." Mayor Of Derry Kevin Campbell says, "When you walk in, you feel like you're in London. It's going to have a massive footfall, too, because of how close it is to both the shops, Ebrington Square and the Peace Bridge. The location really couldn’t be any better." For more on Legenderry Warehouse No. 1, visit their official site, or check out Legenderry Warehouse No. 1 on Facebook.